Wow! What an amazingly busy term we had in Room 7 – ending with our fabulous contribution to the school production “Five Food Groups” and our enthusiastic singing and dancing. Here is a little look at some of the many other things we squeezed in around practising for the show. We enjoy bringing in news to share on Fridays. 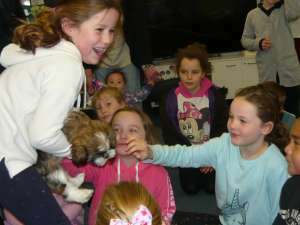 We had a visit from two very cute puppies belonging to Jackson and Emilie. 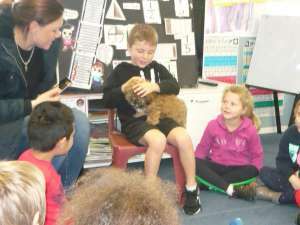 We heard about how to care for a new little dog and couldn’t believe how cute they were and so soft to pat. 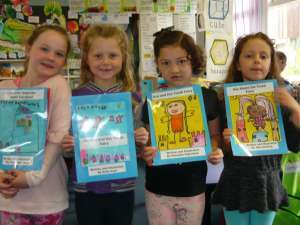 People also brought other interesting news items each week and we are learning to ask good questions and to make relevant comments to others. W.A.L.T write our own fictional story. 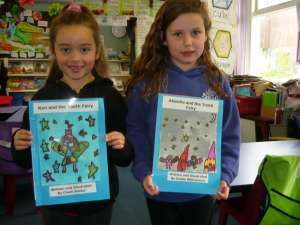 We learnt that all good stories have a beginning, middle and end, characters, a setting and plot. 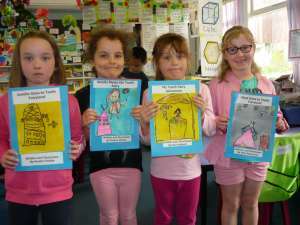 Our stories had the Tooth Fairy as a main character and were published for our class library this term. Once upon a time there was a smart and inquisitive boy called Jeff who really liked to know things. 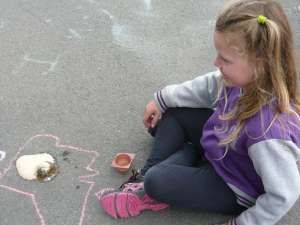 He especially wanted to know how the Tooth Fairy gets the money she leaves for children. So, one-night Jeff had a really tricky and smart idea. He carefully tied string to one finger and then his tooth. Suddenly he heard a quiet fluttering noise and felt a gentle wind on his cheek. He woke up and turned on the light and there, on his pillow was a tiny glittering fairy. “Hello” said the little fairy, “I didn’t mean to wake you up”. “It’s O.K.” said Jeff, “I am very excited about meeting you”. “Would you like to come to Fairyland?” said the Tooth Fairy. The Tooth Fairy got some magic dust from out of her golden purse and sprinkled some of the magic dust on Jeff’s head. 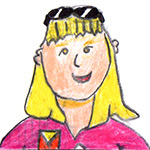 In a flash, Jeff felt wings on his back, then the Tooth Fairy took out her magic wand and waved it. Suddenly he felt as light as a Yellow Hammer bird. Then he was magically transported to Fairyland! Jeff was amazed. He asked the Tooth Fairy where she got her money from. “Well” said the fairy, “come with me”. In the middle of Tooth Fairyland there were trees with paper money and the bushes had coins on them. “Wow!” said Jeff, “that is incredible”. Suddenly he began to feel very sleepy. The next day when Jeff woke up he thought it had all been a dream. But then he rubbed his eyes and got out of bed. Jeff looked on the floor and found magic dust. He also saw a shiny golden coin plus a tiny note that said “Sprinkle me on yourself and you will able to be magically transported back to Fairyland again! From the Tooth Fairy”. 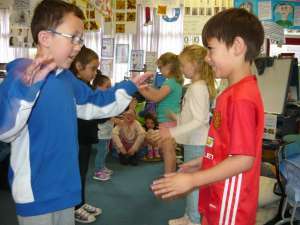 To celebrate Maori Language week we learnt and played some new games at P.E time. 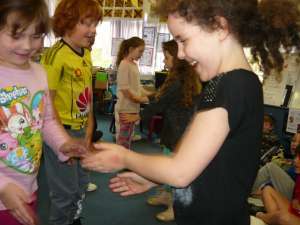 We practise our Te Reo everyday and loved getting really quick with a new hand game called I te timatanga – we are experts now! 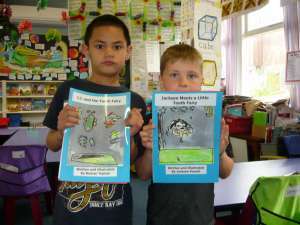 We also designed some beautiful art work to illustrate the story of “Ranginui and Papatuanuku” the Sky Father and Earth Mother. 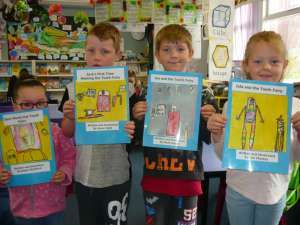 In Term 3 we completed our work about the fables of Aesop. 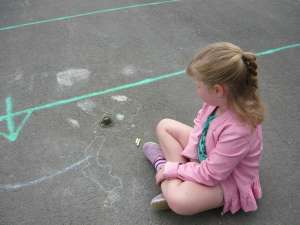 During this time we heard and read many stories that had a moral or lesson. Some of these stories had millers as characters. We found out about the growing of wheat and how it was turned into flour at a mill. 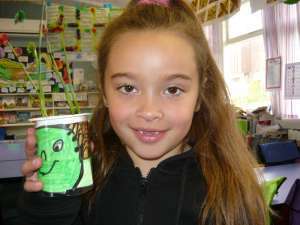 We chose an Aesop character to decorate a pot and then planted some wheat seeds. 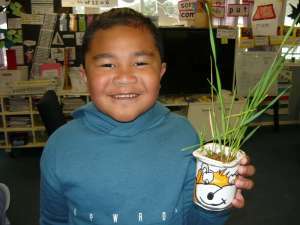 It was interesting to read non-fiction books about seeds and how they grow too. 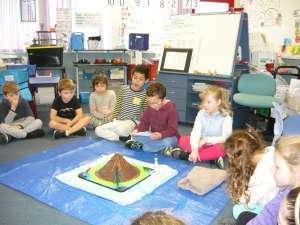 Early in the term Ethan showed us the volcano he had worked on at home and gave us a wonderful demonstration to make it erupt. 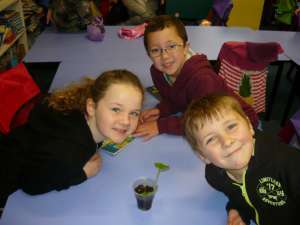 We were very interested to find out more about our Earth and why we have volcanoes and earthquakes. 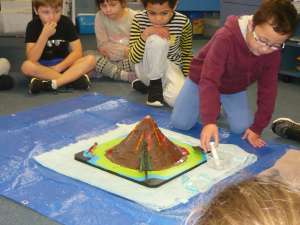 At the very end of the term we made our own mini volcanoes, drew our maps of New Zealand and followed Ethan’s recipe to make them erupt! 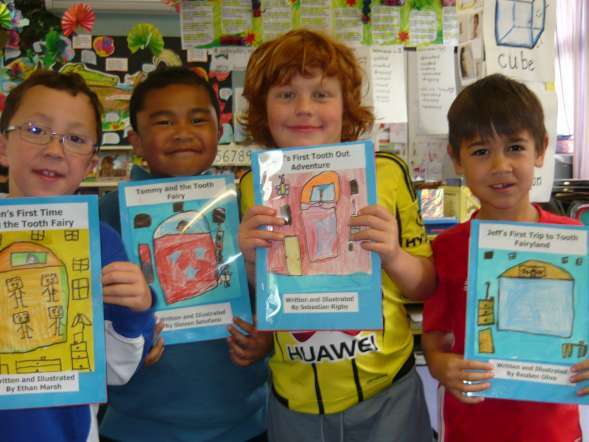 After a very productive Term 3 we can’t wait work together in the last term of the year.